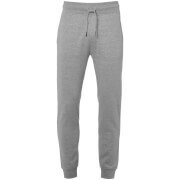 Men’s ‘Holford’ cuffed sweatpants from Dissident. 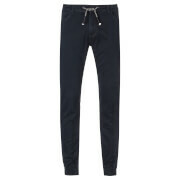 Crafted from soft jersey and cut for a regular fit, the jogging bottoms are designed with side zip pockets, an elasticated waistband with rope drawstrings and ribbed cuffs. 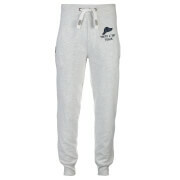 Complete with a brushed back fleece lining for comfort and a rear patch pocket with a signature brand badge.